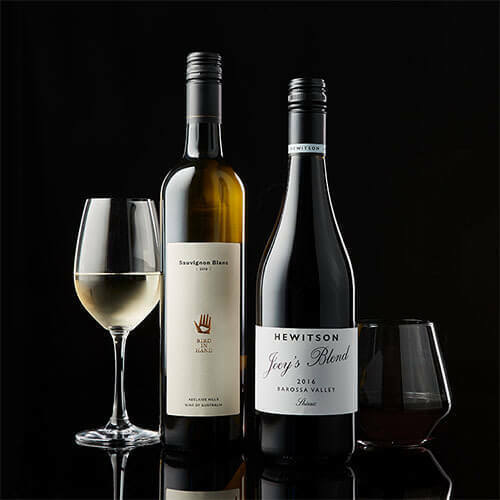 Here at Gifts Australia, we combine gourmet foods with the finest wine, beer and spirits sourced both locally and internationally. Are you craving a sweet treat, a quick nibble or a gorgeous glass of white? 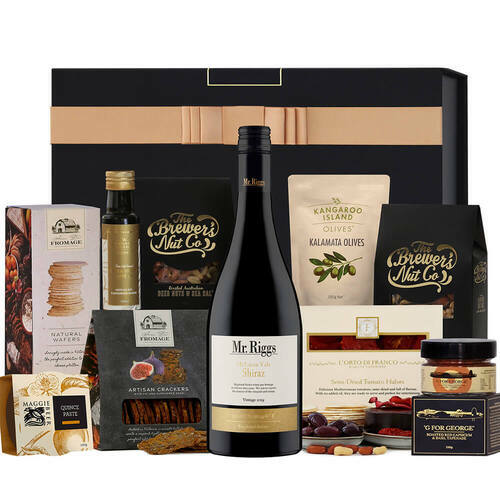 Australia's finest gift hampers with choices to suit every occasion and budget is right here at Gifts Australia. From gourmet food gift hampers right through to luxurious pamper hampers for her. We've got everyone covered with our Australia-wide delivery. 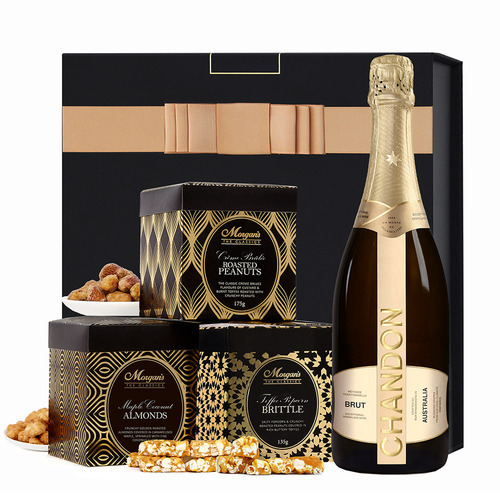 Gifts Australia has a large range of gift hampers perfect for all special occasions and corporate events. 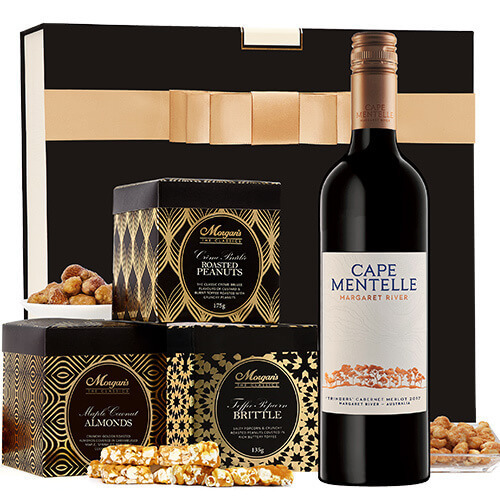 Are you considering obtaining one of our gift hampers as a gift for a special occasion? Then be sure to read our information below, which contains all you need to know about our outstanding gift hampers. Find out how we select our products and discover how you can pick the best hamper for your recipient in our range of exquisite gift baskets. How Does Gifts Australia Select Products for Gift Hampers? 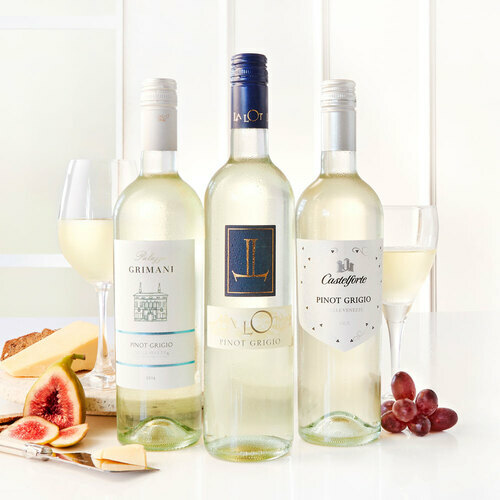 Gifts Australia employs an experienced hamper designer, who selects some of the best brands for our range of gift hampers. 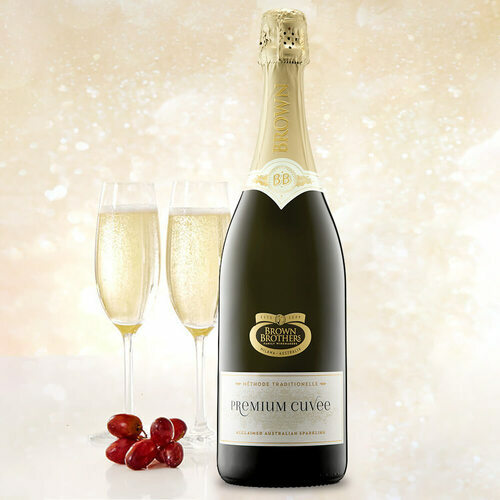 These products can range from exquisite wines and champagnes to chocolates and cosmetics. Of course, the outstanding products inside our range of gift hampers is not the only reason why our gifts are popular with individuals and professionals alike, because each hamper is presented in a beautiful keepsake box that will ensure you can give your recipient the most luxurious surprise. Does Gifts Australia Provide Hampers for Businesses? Gifts Australia provides hampers for individual recipients as well as businesses. 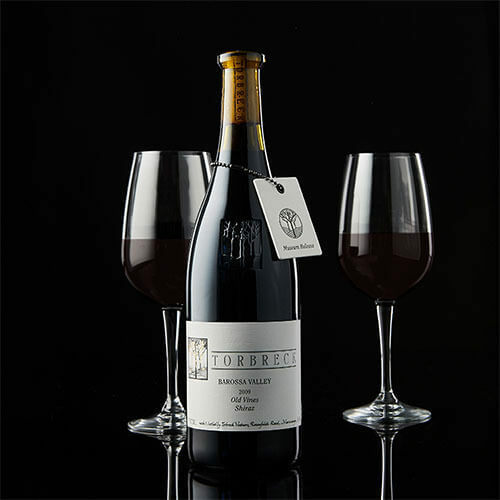 Companies can buy one of our corporate hampers for the office, but also one of our corporate gifts for business relations, clients and even suppliers. A gift for a special occasion does wonders for a business relationship, so be sure to give it a try when you get the chance. 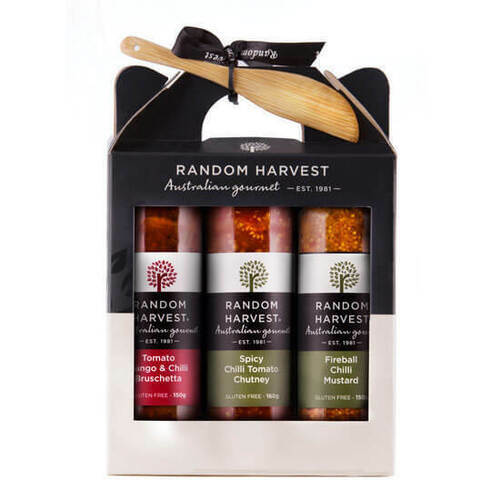 What Makes Your Gourmet Hampers Stand Out from Other Australian Hamper Suppliers? There are many different gourmet hampers available in Australia, so why would you choose Gifts Australia above all other hamper providers? Well, our hampers contain some of the finest gourmet food items in the world. All gourmet products inside our hampers are hand-selected by our experienced gourmet hamper, who spends months looking for the best brands for our customers. 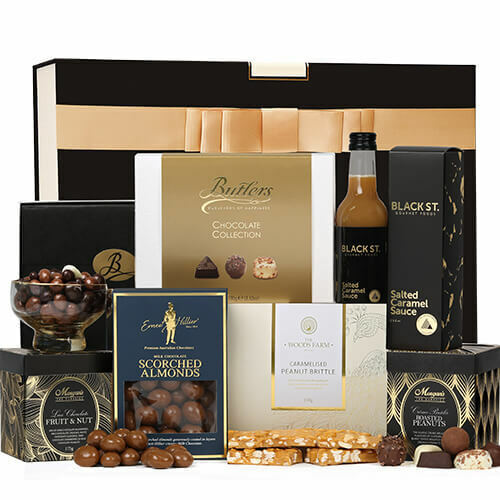 Gifts Australia also tries to keep their hampers affordable, despite the presence of some luxurious products such as Maison Fossier and Butlers Irish Chocolates. Our customers will also find some excellent whiskies from top brands such as Glenmorangie, but also handcrafted Australian beers and ciders they will never forget. How Do I Select the Right Hamper for My Recipient? Choosing the right hamper for your recipient depends heavily on how well you know your recipient. Of course, this can be rather difficult when you need a hamper for an acquaintance or a distant relative. Fortunately, Gifts Australia gives you many options to fall back on. For example, gourmet hampers tend to go down well despite the personal preferences of your recipient. Customers who are aware of the personal preferences of their recipient will find enough variety in our range though. Our hamper designer has selected everything from beers and whisky to delicate biscuits and creamy chocolates, so no matter what your recipient likes, there is always a suitable option available on our gift website. If you are struggling with finding a good gift for your recipient, you can still count on Gifts Australia. Simply call our team of professionals for some personal gift advice. Our experts can make some gift recommendations with little information, so if you are stuck on finding the perfect gift, be sure to give us a call. What Are the Best Gift Hampers? 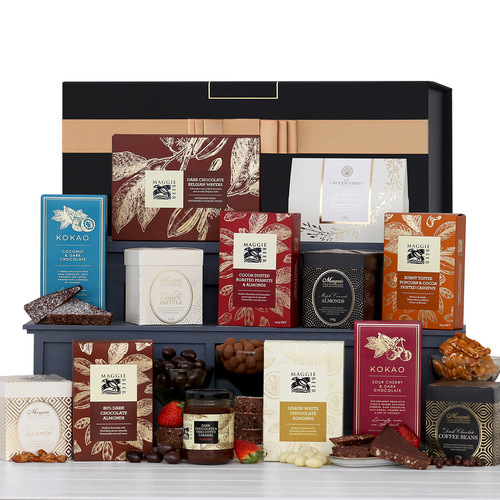 Our finest gift hampers are also some of our biggest since the most sold gift hampers in our store are the Deluxe Christmas Hamper, L’Occitane Celebration Pamper Hamper, and the James Squire Ale Hamper. Of course, you do not have to choose our biggest hampers, since we have smaller hampers with exquisite gourmet products too. 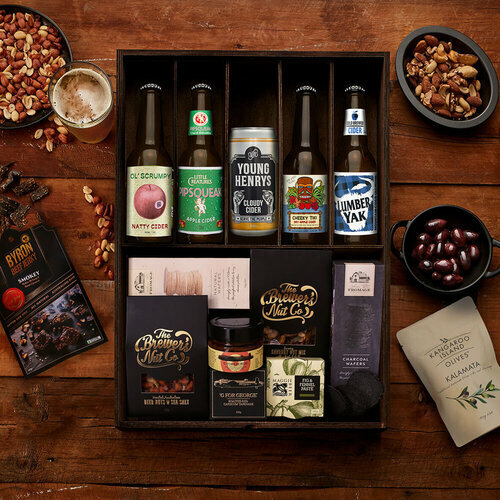 What Are the Best Gift Hampers for Melbourne? 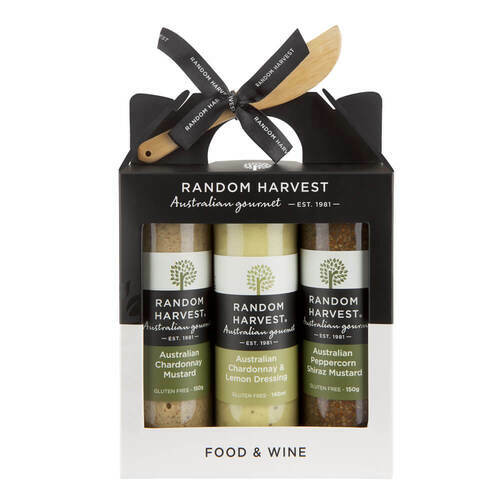 The most popular hampers at Gifts Australia can vary by region. Surprisingly, the most popular gift hampers in Melbourne usually contain an excellent bottle of wine or a selection of our finest beers. 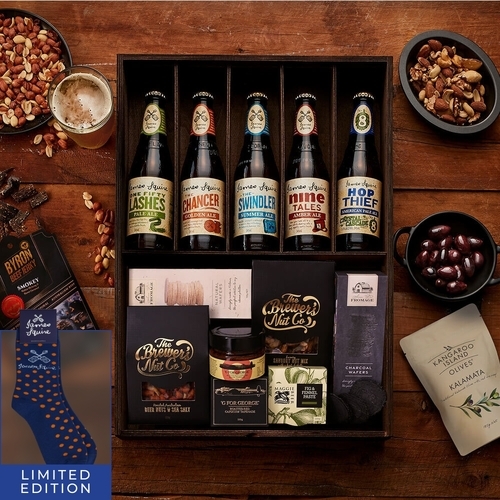 Of course, these hampers also include countless gourmet hampers every Melbourne recipient will appreciate. What Are the Best Gift Hampers for Sydney? Sydney customers tend to focus both on gourmet hampers and hampers containing grooming products or cosmetics. Therefore, the best gift hampers for Sydney recipients can usually be found in these sections of our store. Of course, you can find these hampers even easier by sorting your results by popularity. How Long Until My Gift Hamper Arrives? The delivery time of your gift hamper will depend on where you live in Australia. On standard delivery, your hamper will be delivered within 8 days. However, customers living in NSW, VIC and QLD usually get their gift hamper within 3 business days. Customers who want to speed up their delivery can choose one of our additional delivery options. Our express delivery enables you to get your hamper the same business day when you live in Sydney Metro. When you live outside Sydney, you will receive your gift hamper the next business day or within 3 business days depending on your location. Please note that our delivery times are based on orders placed before 1 pm on a business day. You can choose to upgrade your delivery option during the checkout process. Customers also get the option to send their gift directly to their recipient. Can I Take Advantage of Any Special Offers? 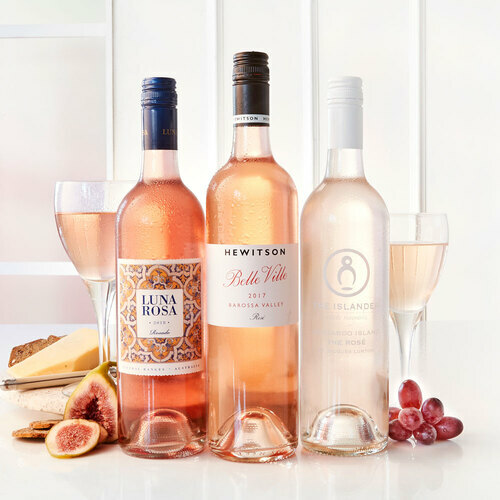 Gifts Australia does offer some great deals from time to time; this includes some amazing reductions on gift hampers and other gifts during certain times of the year. However, one of the most interesting offers we have now is a free standard delivery on most of our gift hampers. So, whether you need a gift hamper for Christmas or another special time of the year, be sure to take advantage of this amazing offer. Does Gifts Australia Provide Other Gifts? Gift hampers are just some of the gifts Australia offers its customers. 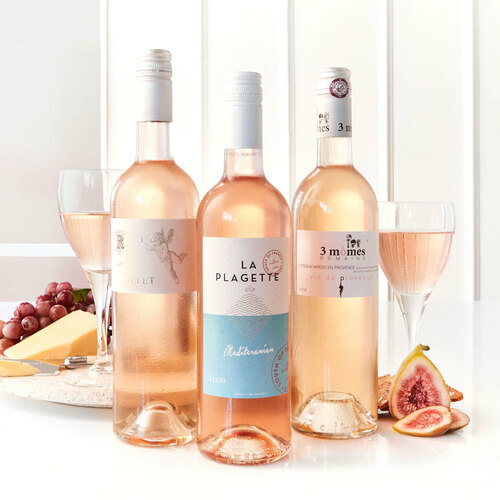 In addition to gourmet and corporate hampers, we also have an extensive range of other gifts; this includes categories such as experiences, flowers, novelty items and homewares. To make the decision of picking the right gift a little easier, we allow customers to shop for a specific occasion. For example, customers can shop for birthdays, Valentine’s Day, Mother’s Day, Father’s Day, christenings, weddings, anniversaries, Christmas and so much more. Customers can also shop for a specific age, for example, they can choose a gift for teenagers, adults and even kids. Does Gifts Australia Update Their Products? 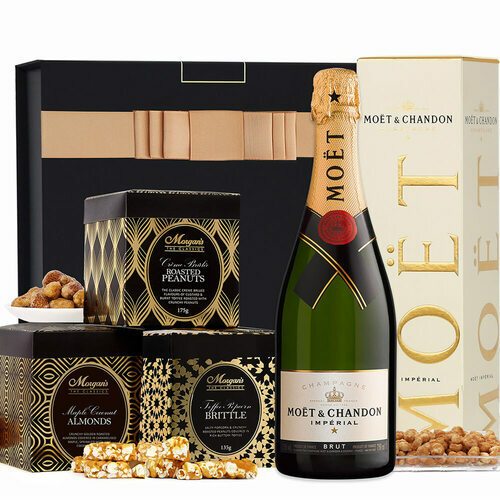 To offer our customers the latest and most popular products, our hamper designer will regularly evaluate all the available gifts and update them with the latest products. To see the latest gift hampers or other gifts in our range, please click on the “new gifts” link on the main menu. If you need a good gift hamper for a special occasion, you certainly cannot go wrong by choosing one of the gift baskets at the Hamper Emporium. Of course, you are also free to choose any of the other amazing gifts we have available in our range. Want to add certain items to your wishlist so you or someone else can find them later? Take advantage of our new wishlist feature, which can be found on top of the page. When you cannot find a gift for your recipient, there is always a classic gift you can fall back on – the Gift Hamper. 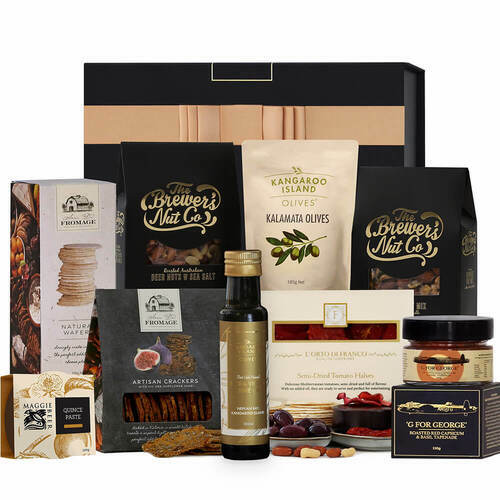 At Gifts Australia, you will find numerous gift hampers for both male and female recipients, each with their own unique design and a series of products inside. 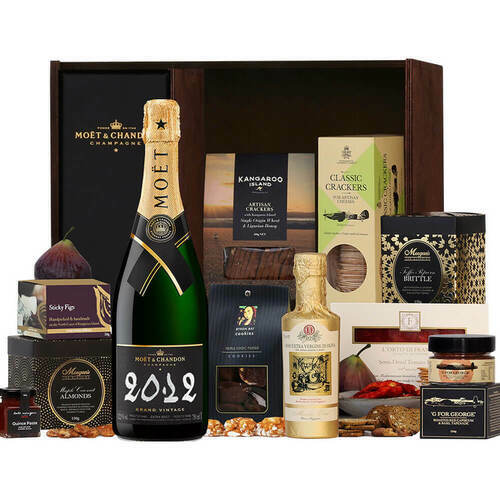 Our hampers are also suitable for a variety of special occasions, so whether you need a present for a birthday, anniversary, Valentine’s Day or other celebration-worthy events, the range of hampers on Gifts Australia will always provide a wonderful surprise on someone’s special day. 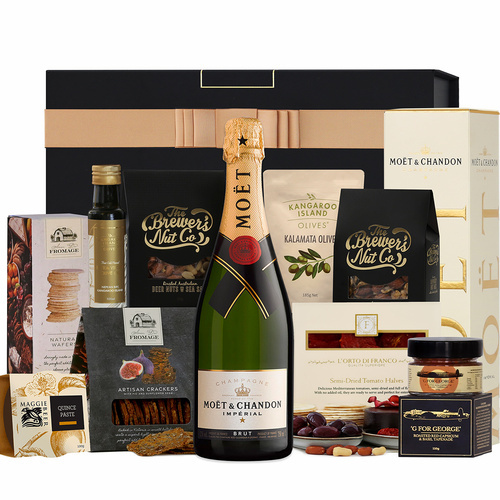 The products used in our gift hampers have been carefully selected by the Gifts Australia team, who wanted to make sure that each gift inside the Gifts Australia gift hampers was of the finest quality. So, by choosing one of our hampers for a special occasion, you will be giving your recipient a high-quality gift that they will remember forever! Head over to our range of hampers now to discover your options.